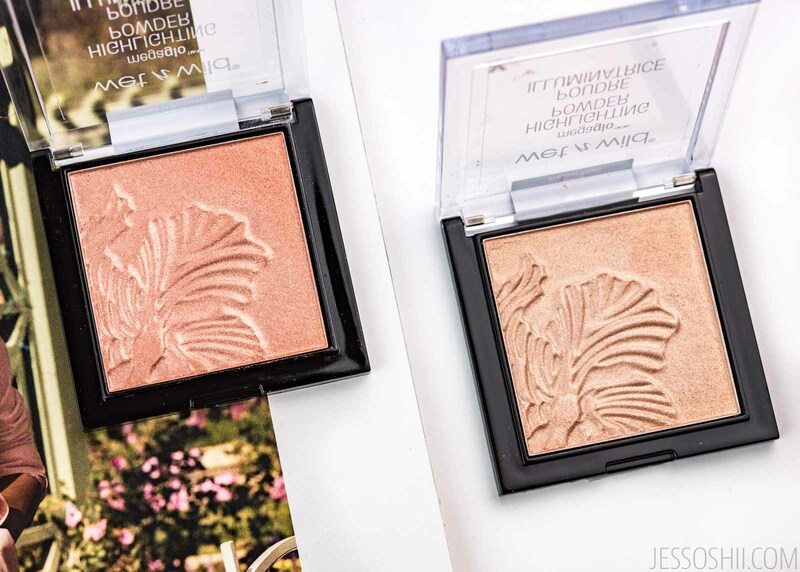 When a product receives as much praise as Wet N Wild’s MegaGlo Highlighting Powders, sometimes you just have to grab one for yourself to see what all the buzz is about. Here are my thoughts and review of these ‘fan favorites’. After such high demand following their limited edition release in Summer 2016, Wet N Wild’s MegaGlo Highlighting Powders have since earned themselves a spot in Wet N Wild’s permanent makeup line (and they continue to add new shades every few months it looks like!). These shimmery powder highlighters can be applied anywhere from the cheekbones to the eyes for a touch of color and a whole lot of glow. They are cruelty-free, though not vegan (as they contain carmine). Let’s start off with the shade range. Precious Petals, the lightest shade of the two available, is a warm champagne tone. At first glance, it may appear to be the universal shade in the collection, however it’s actually pretty dark once applied on the skin. It doesn’t quite suit my light-medium (NC27 in MAC) skin tone, and is definitely going to be too intense for pale or fair skin tones. However, from the Youtube videos/blog photos I’ve come across, it looks amazing on deeper skin tones (medium and above). Crown of My Canopy is my favorite out of the two. It’s a very pretty rose gold shade that’s unlike anything I’ve ever come across – I actually see it more as a super shimmery blush. Similar to Precious Petals, it’s just a bit too dark for my light-medium skin to be used as a highlighter. Instead, I plan to use it very sparingly over blushes to add a little extra color and glow to my cheeks. Both highlighters offer a decent amount of pigmentation – the swatches above show the color payoff after just one quick swipe of the finger. As you can see, they’re also very shimmery – almost metallic looking. Would I say they’re casual day/weekend/party friendly? Absolutely. Office friendly? Not so much. The best method I’ve found for applying the Wet N Wild MegaGlo Highlighting Powders is to use a stippling brush (I use this one from Luxie). I’ll always make sure to tap off any excess from my brush before hitting the cheeks – this stuff really kicks up a lot of powder, plus it doesn’t take that much product to build up intensity. 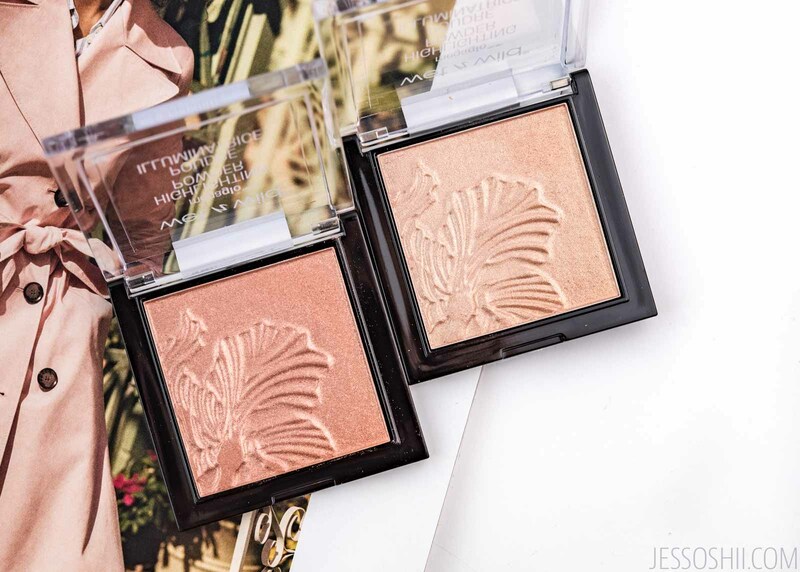 Have you tried the Wet N Wild MegaGlo Highlighting Powders?